Breast cancer is the most commonly diagnosed cancer among women in the United States irrespective of ethnicity, the most common cause of death from cancer in Hispanic women, and second most common cause of cancer deaths among all other ethnicities. In 2012, the incidence of breast cancer in Texas was 110.8/100,000 and mortality rate was 21.11/100,000 according to the Center for Disease control1 and Texas cancer registry. These numbers are worse for the Council of Government 1 (COG-1), which was the target area for the original Access to Breast Care for West Texas (ABC4WT) project. The ABC4WT project was designed specifically for the COG-1 milieu of the Texas Panhandle. 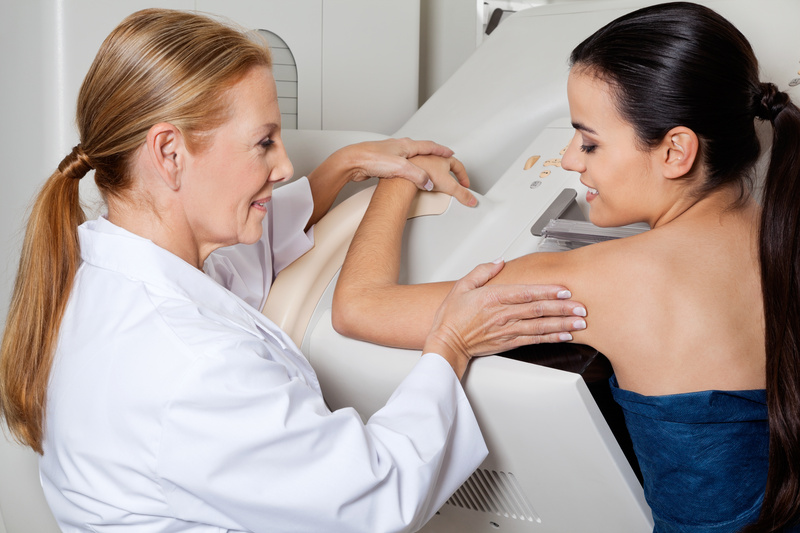 This community is largely comprised of medically underserved communities facing ethnic (specifically Hispanic), socio-economic, and geographic barriers that compromise access to healthcare and result in low rates of mammographic screening leading to late stage diagnosis. Initially funded by CPRIT in 2010, ABC4WT received continuation funding in 2014 to add cervical cancer screening. The success of the ABC4WT project has led to a dissemination effort so that other regions can replicate the project in their communities and reduce the disease burden from breast cancer. 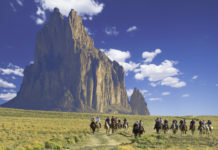 The ABC4WT project is the largest healthcare collaborative project in the Texas Panhandle, comprised of extensive partnerships between one multi-campus university (Texas Tech University Health Sciences Center), 7 community-based organizations, and 10 private service providers throughout the 26 counties of the COG-1 via contracts, memoranda of understanding and informal networks. These partnerships have resulted in a breast healthcare delivery system that is credited with a significant drop in late stage of breast cancer at diagnosis in the area. The breast healthcare delivery system established by the ABC4WT project via extensive community-public-private partnerships has generated several components that can be packaged for replication not only for breast health programs across Texas, but are also scalable to other healthcare needs that disparately affect the underserved communities. 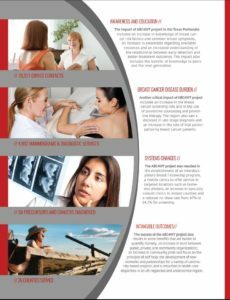 The uniqueness of this project is its comprehensive nature that addresses the entire spectrum of breast healthcare including education, prevention, screening, multidisciplinary cancer care, and survivorship with inclusion of quality of life concerns and research participation with a specific focus on the barriers faced by underserved populations. More importantly, this model prospectively tracks each patient served until final disposition. Reaching underserved populations with the end goal of increasing screening rates that translate into reduction in mortality is challenging at best. 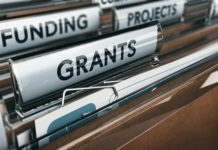 Organizations and institutions catering to populations with the highest needs often do not have the resources to design, test, and implement new programs addressing these concerns. An evidence-based replication model such as the ABC4WT project guide would allow these institutions and organizations to offer comprehensive services to their communities with minimal trial and error, maximal cost effectiveness and access to experienced personnel for training and troubleshooting while being able to measure the impact of their program. The ABC4WT project has been active in the Texas Panhandle since August of 2010 and has resulted in lowering the late stage of breast cancer at diagnosis and an increase in the screening compliance rate from 57% to 59.2%. Overall, ABC4WT made 1.6 million indirect contacts and almost 19,000 direct contacts through public-private-community level partnership during last 5 years as a result of the coalition training and process maps that we propose as replicable products. These processes provided almost 5,000 clinical services, and detected over 1,000 abnormalities in this vulnerable underserved population. Most importantly, the 58 cancers that were diagnosed and had no funding for treatment were appropriately connected with resources and each received comprehensive multidisciplinary cancer care and survivorship by the program institution with 54% clinical trial participation and 100% follow up. The project team is ready to build dissemination products out of this project based on principles of dissemination. In 1962, Rogers published his standard work “Diffusions of Innovations”. A literature review on dissemination of health care innovations by Van der Linden showed that this book, reprinted in 1971, 1983, and 1995, is still leading subsequent papers and books in this field. That is why in the beginning of our research we used Rogers’ concepts and models to address known issues with dissemination of health care innovations. The first factor relates to the relative advantage for the professional who uses the innovation. As mentioned above, the areas serving the most underserved populations are least equipped with resources to develop innovative projects. Therefore, a successfully piloted project with accessible resources offers a relative advantage for professionals in these regions. The second factor is the degree with which the innovation is applicable within the existing organizational structure. Since our model is a partnership between several different organizations, it lends itself to be adjusted in a variety of organizational structures, and is in fact, the strongest component of our model. The third factor is the simplicity of the innovation: are a few or many factors and processes involved to diffuse the innovation? The strength of this proposal is that it can be adjusted to any scale, small or large, depending on the goal of the end-user. It is important to note, however, the community-public-private partnerships remain the cornerstone of this proposal. Trial ability, the fourth factor, has to do with whether the innovation can be diffused in small steps versus major reorganization of the system. TTUHSC has already successfully replicated the model with a second service of cervical health in the Texas Panhandle (trial with a new service) and on another campus, San Angelo (trial with a new geography /population). The fifth factor, observability, relates to the degree the effects of the innovation are visible for professionals. The prospective electronic data tracking is an important component of the proposed project which would allow for measurable outcomes. ABC4WT offers a comprehensive program utilizing multiple platforms for end users. For the purpose of developing a replication model, specific products are identified to be developed with two main objectives: (i) addressing Roger’s critical factors for successful dissemination mentioned above, and (ii) applicability to priority areas of greatest need such as geographic and/or financial disparities pertaining to cancer incidence and mortality, to target the underserved populations. The ABC4WT coalition was built on several evidence-based strategies such as the “Six Thinking Hats System” designed by Edward De Bono for group discussion and individual thinking involving six colored hats that utilize the principles of parallel thinking for groups to plan projects or proposals in a detailed and cohesive way, aiding the development of common vision and strategies. This module will be packaged as a part of pre-service training and staff selection. Other critical training elements in the ABC4WT project included evidence-based coalition sustenance strategies such as annual refresher training for (i) re-evaluating and simplifying the mission, (ii) team building focusing on flexibility of networking opportunities for stakeholders and customer service mindset, (iii) transformational leadership, (iv) re-evaluation of working structures and process maps with “Hits” and “Misses” approach (v) enhancing satisfaction with coalition activities designed to retain and recruit new partners. These elements will serve as ongoing consultation and coaching, facilitative support for program evaluation, administration, and systems intervention. ABC4WT has expertise in training personnel (Rahman, MD and Felts, M.Ed. ), and developing modules that can be packaged as a structured stepwise Coalition Building Training Program. 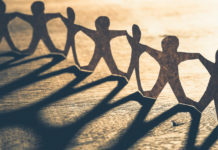 This is the most important aspect of the replication model because community coalitions, composed of a diverse group of community members who are committed to effecting change, are successful in engaging community partners in health improvement. The collaborative work of a coalition is more effective than the efforts of individuals or individual groups because it comprises of partners representing multiple sectors, reduces duplication of effort, and uses various resources to accomplish a common goal. However, we observed during administration of the ABC4WT program that re-messaging and annual training was essential to keep up the tempo, enthusiasm and accountability of the collaborative. This program will also provide the process maps, event checklists, application forms and other resources built by the ABC4WT project. Several evidence-based approaches were utilized to develop a cadre of women from diverse cultural backgrounds to enhance breast health education and awareness in the community. Utilizing the local community members as educators to account for cultural nuances from a diverse community is shown to enhance the effectiveness of the message. Consistent with key tenets of community-based participatory research, the ABC4WT project developed a 5-module breast health curriculum at a 6th grade reading level to specifically target the level of understanding and education of the underserved community. This curriculum went through several developmental phases including collecting questions from focus groups; identifying language for consistent understanding; use of appropriate data sharing tools, and testing understanding by 6th grade students. In addition, it specifically focuses on culturally-tailored components (for Hispanic, Somali, and Black communities) as evidence supports that this aids communication and that cultural awareness by the educator can lead to close relationships with attendees. The actual goal of the entire project is to enhance cancer screening and early detection as well as to complete the loop of care by documenting the final disposition for each patient. Secondarily, it is also important to document the basic demographics of the clientele so that the healthcare delivery systems can be adjusted for needs. Lastly, since these projects are funded by local, state or federal agencies (CPRIT in case of ABC4WT), it is important to gather real time information to ensure appropriate use of resources/funding and for audits to document that the population cited in requisition as the target is indeed the target of the project. This can be an arduous task when dealing with multiple providers across large geographic areas with multiple electronic systems. Data sharing can be a problem if proper HIPAA compliant strategies are not employed. The ABC4WT project has developed a database for tracking information in real time. It not only allows us to keep track of all outcomes for quarterly reporting but enhances patient care because of the flagging system to track patients until final disposition is entered. The development of this database was a time and resource intensive effort; however, it has made the process of breast healthcare delivery very efficient. In fact, local hospitals often rely on our database for reporting their outreach activities for Commission on Cancer (COC) accreditation. Breast cancer is a public health problem by its sheer incidence and mortality. Therefore, there are several different public, private, and community-based institutions with a common goal of prevention and early detection of breast cancer. The ABC4WT project was developed initially as a community collaborative project and several unorthodox partnerships were created that allow the replication model to be used by a variety of healthcare settings as well as many different types of clinicians and administrators. The ABC4WT replication model can be used in organizational settings such as: (i) Texas-based community organizations, e.g. National Association of Social Workers, Hispanic Health Coalition, Intercultural Cancer Council, Rio Grande Cancer Foundation, Latinos in a Network for Cancer Control, etc., (ii) Government organizations /programs, e.g. Breast and Cervical Cancer Screening program, Delivery of Health Services Reform Incentive Plan etc., (iii) Academic health institutions, e.g. various campuses of Texas Tech University Health Sciences Center and University of Texas etc. The ABC4WT replication model can also be used by professionals such as: (i) clinical specialists, e.g. breast radiologists, family physicians, advanced practiced nurses, breast surgeons, medical oncologists, nurse navigators, primary care physicians etc., (ii) administrators e.g. managers of imaging centers, rural clinic managers, board members of community organizations, clinical practice mangers, etc. Interested end users can contact the Breast Center of Excellence at the Texas Tech Health Sciences Center for replication of our program in your area. Our team and products are ready to assist you every step of the way. 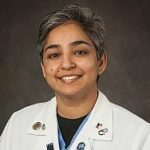 Rakhshanda Rahman is a professor in the Texas Tech University Health Sciences Center Department of Surgery and the Director of the Breast Center of Excellence.